Written on 10 April 2016 . This clip shows the first demonstration of wireless dry EEG brain activity mapping and directed connectivity analysis with real-time interactive 3D visualization in a standard web browser on a smart phone. This represents an important step towards enabling powerful new pervasive applications of EEG, including live remote monitoring of brain activity (neurotelemetry) for clinical or consumer applications. Here, Intheon CTO Christian Kothe (left) wears the Cognionics “Quick-20″ 19-channel dry wireless EEG system, while CEO/CSO Dr. Tim Mullen (right) navigates his brain on a smartphone. All computation is carried out in real-time on the NeuroScale cloud platform. The lightweight web application is built on the NeuroScale API, utilizing just one of numerous possible pipelines for neuroimaging, biosignal processing, brain-computer interfacing, and cognitive state assessment. NeuroScale is the world’s first cloud API platform enabling developers to easily integrate state-of-the-art neurotechnology into any internet-enabled application. Anytime, anywhere. Interested? Apply for the Beta program at www.intheon.io ! In this example, we demonstrate the most famous of brain rhythms: localized 8-12 Hz alpha (posterior dominant rhythm) power and cortical network activity when the subject closes and opens eyes. Increased alpha activity is associated with blocking of input to sensory cortex. However, it is also associated with various states of consciousness and utilized extensively in neurofeedback. When closing eyes, we expect prominent increases in activity localized to the occipital (visual) cortex. Here brain electrical activity is mapped to the cortex using a smoothly distributed source reconstruction algorithm with subsequent power spectral estimation. Frequency-domain cortical network connectivity is estimated using Multivariate Spectral Granger Causality between user-defined cortical regions of interest including major hubs of the “task negative / default mode network” and “task positive network”. The size of a connection between two regions, as well as ball size, denotes the amount of information transfer between regions. Warm colors indicate increased brain activity and connectivity. Mullen, T., Kothe C., Chi. M., Ojeda, A., Kerth, T., Makeig, S., Jung, T-P., Cauwenberghs, G. (2015). Real-time Neuroimaging and Cognitive Monitoring Using Wearable Dry EEG. IEEE Transactions on Biomedical Engineering. Special Issue on Wearable Technologies. 2015 Nov;62(11):2553-67. Makeig, S., Kothe, C., Mullen, T., Bigdely-Shamlo, N., Zhang, Z., Kreutz-Delgado, K (2012). Evolving Signal Processing for Brain-Computer Interfaces. Proceedings of the IEEE , vol.100, no.Special Centennial Issue, pp.1567-1584. In March, Tim headed to Tel Aviv, Israel to give an invited presentation at Israel's premier international neurotechnology conference, BrainTech 2019, on "Closing the Chasm: Accelerating Translational Neuroscience Applications through Automated Biosignal Analysis in the Cloud". At TTC'19, Tim sat down with Allen Saakyan from the awesome Simulation series for a conversation on Intheon's mission, the current and future state of neurotechnology; ethics, stewardship, and governance in exponential technologies; views on consciousness, and related topics. Check out the interview here. We were delighted to participate in presenting at and/or hosting several sessions and workshops at the EEGLAB 2018 Workshop organized by the Swartz Center for Computational Neuroscience at the University of California San Diego on November 8-12. Intheon gave an invited presentation at the Transformative Technologies Conference held on November 9 - 10, 2018 in Palo Alto, California, where we showed how Neuropype and Neuroscale can help individuals and organizations accelerate their neuroscience and neurotech R&D through rapid testing and iteration using these powerful biosignal processing and state decoding tools. In addition to presenting several papers at the IEEE International Conferences on Systems, Man and Cybernetics (SMC) 2018 in Miyazaki, Japan, held on October 7-10, Intheon is proud to be a sponsor of the Brain-Computer Interface (BCI) Hackathon at the conference. On July 28 Dr. Tim Mullen (CEO, Intheon) gave a talk at a TED Salon, hosted at the Salk Institute for Biological Studies, where he spoke about a future in which advanced neurotechnology is woven into the fabric of everyday life, a natural extension of Marc Weiser's (CTO, Xerox PARC) concept of "ubiquitous computing". 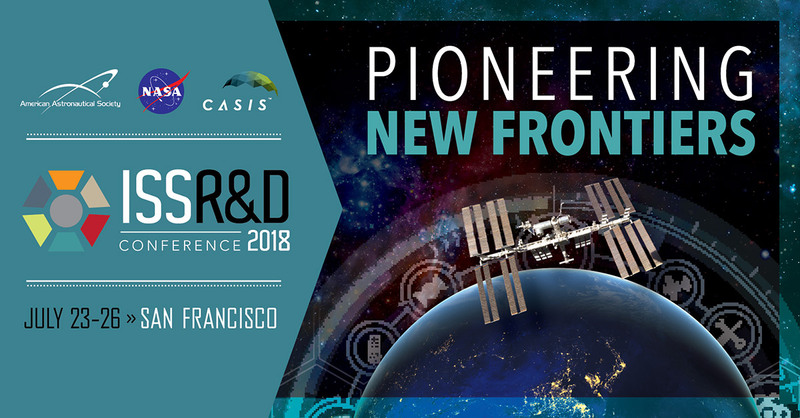 We are excited to be participating in this year's ISS R&D Conference! We'll be presenting recent research, in collaboration with the UND/NASA Human Spaceflight Laboratory, Fordham University, and Cognionics, evaluating new capabilities for assessing crewmember neural and cognitive performance during a 14-day simulated Lunar/Martian mission in the Inflatable Lunar/Martian Habitat Analog at the University of North Dakota. Intheon gave several presentations at the 7th International BCI Meeting, held in Asilomar, California, on May 21-25. In one of these, "From N=1 to N=Everyone: Scalable Technologies for Multi-Brain Computer Interfacing", Tim Mullen gave a live demonstration of a "hyperbrain": real-time computation of neural synchrony across groups of individuals, all done with mobile devices and NeuroScale. We're excited to participate with the Human Spaceflight Laboratory at the University of North Dakota, Fordham University, and Cognionics, on a research project for Inflatable Lunar Martian Analog Habitat Mission V, testing the feasibility of using wearable EEG and specially designed cognitive assessment protocols to characterize and predict future changes in cognitive performance during Lunar/Martian missions. Intheon was invited to be a Featured Beta Startup at the Collision tech conference held in New Orleans on May 1-3, where we showcased our NeuroPype desktop signal processing application and previewed the capabilities of our NeuroScale cloud platform. We received a lot of positive feedback and excitement from attendees about what we have been building and have in the works as we pioneer the first cloud-scalable platform for 'anytime, anywhere' neural state decoding! SMC Founders Keynote "From Research to Scientific Breakthroughs to Improving Lives of People"
Our CEO, Tim Mullen recently gave an invited Keynote talk discussing our mission to power the future of "anytime, anywhere" neurotechnology, at the Founders Keynote Session of the IEEE Systems, Man, and Cybernetics conference in Budapest, Hungary. Tim Mullen (CEO, Intheon) and Mike Chi (CTO, Cognionics Inc) with the first high-density (64-channel) dry wearable EEG system, the Cognionics HD-72. Dr. Tim Mullen gave a Keynote address on “Brain Computer Interfaces: Present and Future” at CES 2016 (IEEE International Conference on Consumer Electronics). In this video, he discusses our vision for pervasive brain-computer interfaces with IEEE CESoc TV. This video demonstrates a real-time wearable brain-computer interface (BCI) capable of detecting whether a car driver (here, Intheon CDO Nima Bigdely Shamlo) heard an unusual sound interspersed amongst regular sounds played over the car speakers. The is the first demonstration of a real-time, dry wireless EEG BCI system operating in a moving vehicle with real-time computation on the cloud (NeuroScale). Intheon CTO Christian Kothe is in San Diego wearing a 21-channel Neuroelectrics Enobio EEG cap. The data is streamed live through the NeuroScale platform where we are removing artifacts and computing a real-time map of cortical brain activity and brain network connectivity (multivariate Granger causality). The resulting data is streamed to San Francisco where Intheon CEO, Dr. Tim Mullen, visualizes Christian’s 3D brain maps in real-time on his cell phone. Here we show how a brain-computer interface — here a multiplayer, mobile brain-controlled game (“neurogame”) called Tractor Beam — can be powered by the NeuroScale cloud platform and used on planes and trains (or anywhere else you have Internet). Here Intheon team members (Mullen, McCoy, Bigdely-Shamlo, Ward) were on their way from San Diego to San Francisco, on May 5th 2015, to present at the NeuroGaming conference. Demonstrating the “Glass Brain” at Mozart & the Mind 2014 in an epic rhythm experience with Mickey Hart, Adam Gazzaley, Christine Stevens, Bill Walton, and 700 friends! The Glass Brain — powered by the Intheon team’s software — is the world’s first interactive, real-time, high-resolution visualization of an active human brain (cortical brain activity and connectivity), designed specifically for Virtual Reality. Here Intheon CEO Tim Mullen (right) is flying through the live brain of Grateful Dead drummer Mickey Hart (left) in Oculus VR. Mickey is wearing a 64-channel wearable EEG system developed by Cognionics Inc. Demonstrating the “Glass Brain” at the GTC2014 Keynote with Adam Gazzaley. The Glass Brain — powered by the Intheon team’s software — is the world’s first interactive, real-time, high-resolution visualization of an active human brain (cortical brain activity and connectivity), designed specifically for Virtual Reality. Here Intheon CEO Tim Mullen (right) is flying through the live brain of Grateful Dead drummer Mickey Hart (left) in Oculus VR. Mickey is wearing a 64-channel wearable EEG system developed by Cognionics Inc. Visit http://intheon.io/projects/ for more details on the Glass Brain and other Intheon projects!